Always wanted to learn Kannada but couldn’t quite get around to taking lessons? Well, quit saying ‘Kannada Gottila’ and join this WhatsApp group to pick up the language. 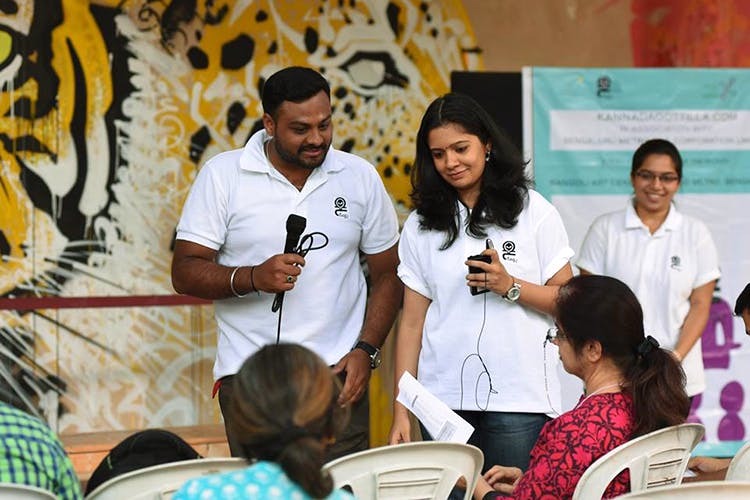 This group picked up on the quintessential ‘outsider’ phrase, Kannada Gottilla, which means "I don’t know Kannada", and turned it into a casual WhatsApp group to help people learn the language. It originally began back in 2014 when a group of friends made a WhatsApp group to help each other learn Kannada. But the format was so cool, that the group was made public and now they actually have programmes to help anyone learn the language. There are three levels for you to pick from — KG 1, KG 2 and KG 3, starting at INR 200 per month. If you’re an absolute beginner like I am, try KG 1. You’ll have one lesson per day that includes notes and voice recordings so you can get the diction and pronunciation correct. And by the end of 25 days, you should know the basics of grammar and conversation. Then graduate to levels two and three to make more complex conversation, learn the nuances of grammar and essentially become more of a fluent speaker. What is most useful is that they’re all about conversational Kannada. Don’t go expecting to be a scholar of the language. This is meant to get you around the city, so you can feel more at home in the place you’re obviously now calling home. And the best part is that it’s all done through WhatsApp, so all you need is a phone, WhatsApp, the will to learn and the aspiration to soon say, Kannada Gottu. That’s ‘I know how to speak Kannada’, for those who don’t know. See, join this group already!